Check with your accommodation team on specific information such as move out dates and times, do’s and don’ts, checkout process, loading bay access etc. Reading all the information thoroughly will mean you’re completely prepared and can start planning. Go through your things and sort them into what you are going to pack, chuck, giveaway and donate to charity. This will help you declutter and make sure you only put into storage things that you need. Forget that tacky Halloween outfit, you probably won’t (and shouldn’t) wear it again. We make it super easy to store your belongings. We collect, store and deliver anywhere in the UK, as soon as the next day. It also comes with free insurance coverage up to £100 per item. Choose how many boxes you need to store, and for how long, and they will be collected from your accommodation as soon as the next day. 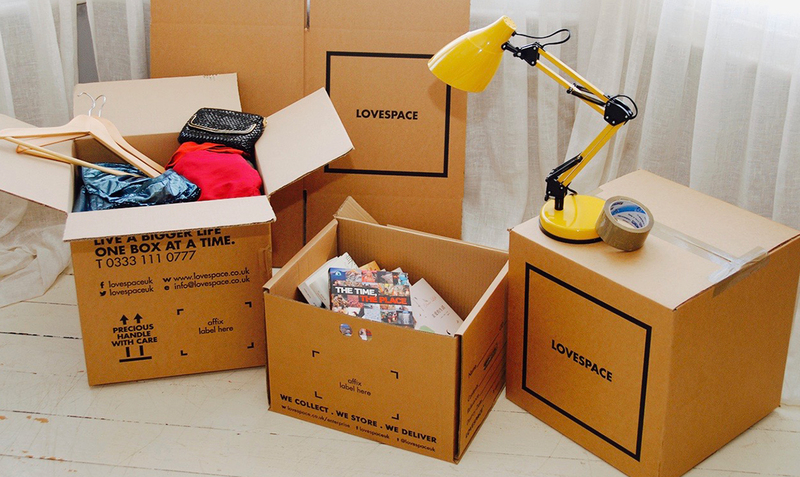 At LOVESPACE donating your stuff couldn’t be easier. We have a partnership with a number of leading charities, which means you can order free donation boxes from us. Just pack them up with what you wish to donate, and we’ll collect and deliver them to charity for you, free of charge! Find out how to donate to Charity with us. Now, with a collection scheduled, it’s time to pack. Make sure you invest in sturdy, double-walled cardboard boxes. We sell a range of double-walled boxes and packing materials on our website. Label everything clearly, so you won’t forget what is in which box! Don’ts: Crisp boxes, plastic crates (they crack easily! ), sharp things without proper packing, liquids, perishable items. Over 60,000 students have stored with us, so book today and enjoy a stress-free holiday!